Our first times playing at the park. 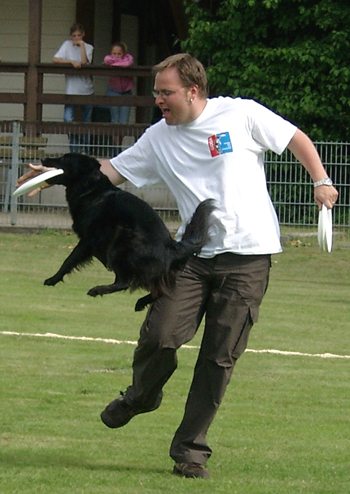 Heiner on a competition in Herne with Mona. 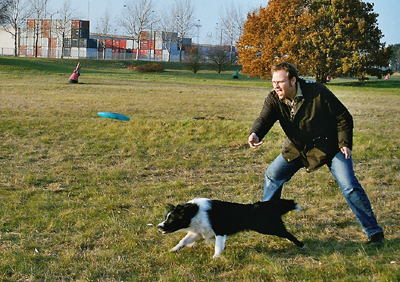 Conny playing Minidistance with Sydney. 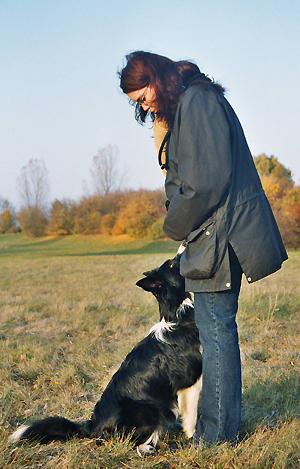 Conny doing obedience with Sydney. 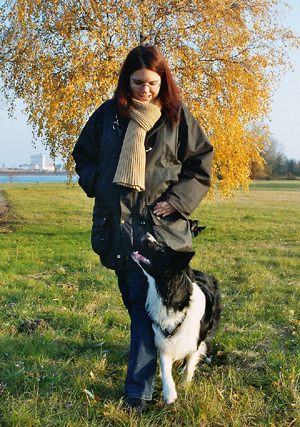 Having a Border Collie, life never will be boring. These dogs need the right amount of mental stimulation and physical exercise. We recommend that You try out, which kind of occupation suits You and Your dog best. 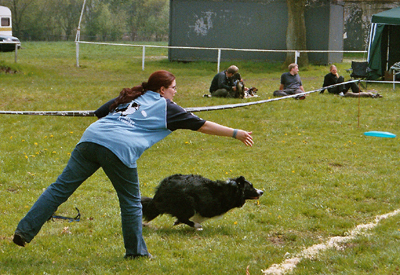 We were doing Agility for several years with the “Weser-Ems-Hoppers”, and attended seminars and training which were held by Rolf C. Franck and Hinky Nickels, among others. 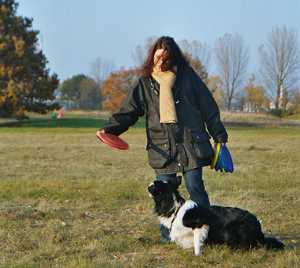 Besides that, we did Obedience with Angela Seidel and Rolf C. Franck. 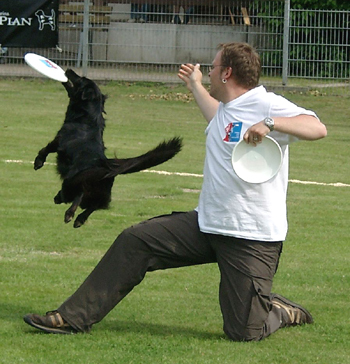 Today the focus of our activities lies on Disc-Dogging (Frisbee). That’s the Sport, which suits our dogs and us best. In Discdogging, we attended courses and seminars held by Karin Actun, Jochen Schleicher and Chris Sexton, and succesfully entered competitions. Today, we’re giving seminars and course in Discdoggings ourselves.